In addition once you place the item in your cart you'll receive an instant 15% off making the price just $25.99. 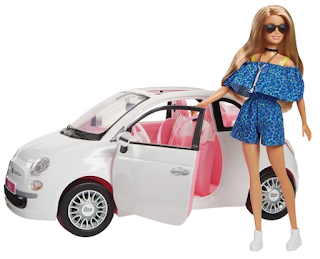 With this Mattel Barbie Fiat Set Barbie can say "Ciao!" and hit the road to anywhere!